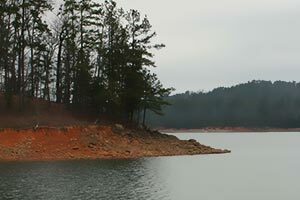 Lake Lanier, Buford Dam, and the Chattahoochee River; Laurel Ridge Loop has them all. 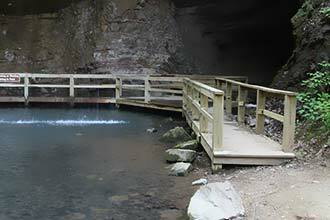 This 3.9 mile loop is great as a family outing, just don’t bring the dog as pets are not allowed in the park. 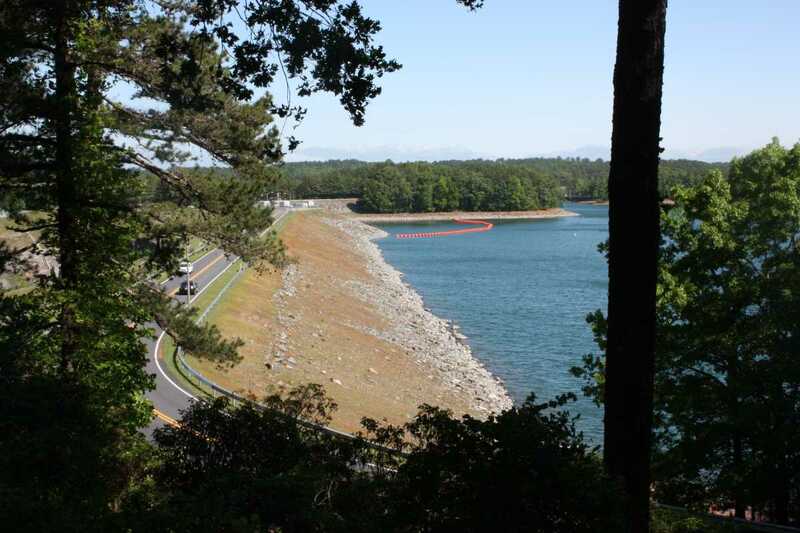 This loop could start from several places, but the Lower Overlook Park is one of few around Lake Lanier that doesn’t change a parking fee. Restrooms and a water fountain are available here at the trailhead. 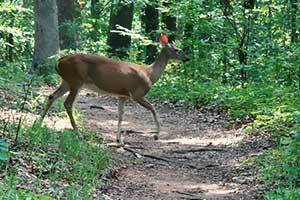 This white-blazed trail begins either across the entrance road or to the left of the restrooms, depending on which direction you want to go around the loop. 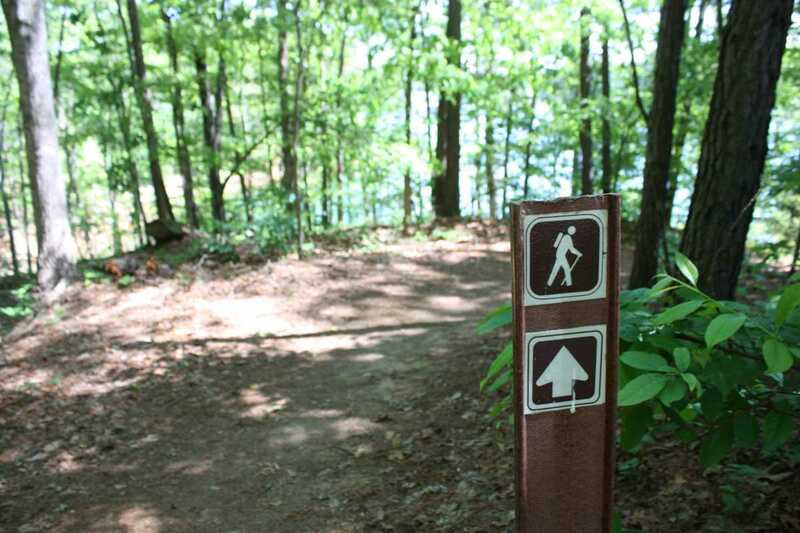 Choosing next to the restrooms to navigate around counterclockwise, the trail quickly crosses Buford Dam Road. Take caution here, visibility is limited and people tend to speed around these corners, so pay extra attention to children. 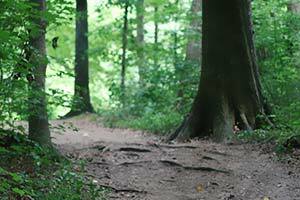 There are a couple of trail intersections here, one with a sign and one without; however, the side trail ends shortly at an overlook. 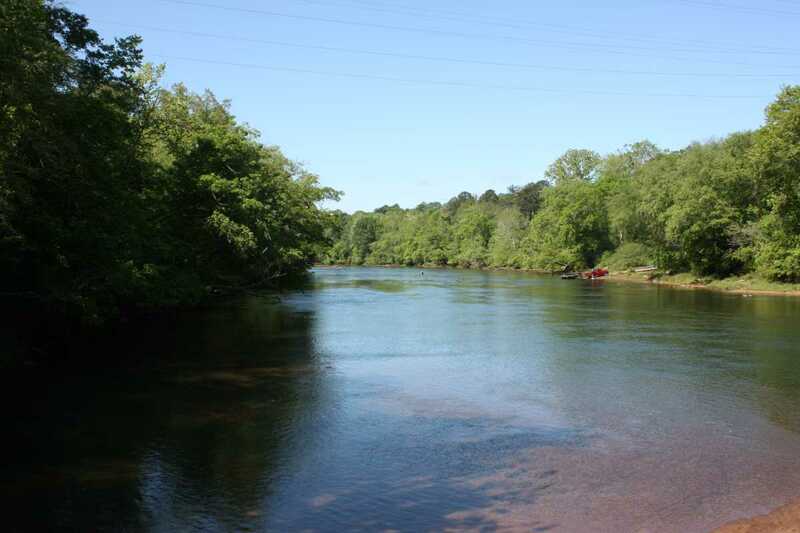 The trail ascends slightly before dropping over 200 feet to the base of Buford Dam and the Chattahoochee River. 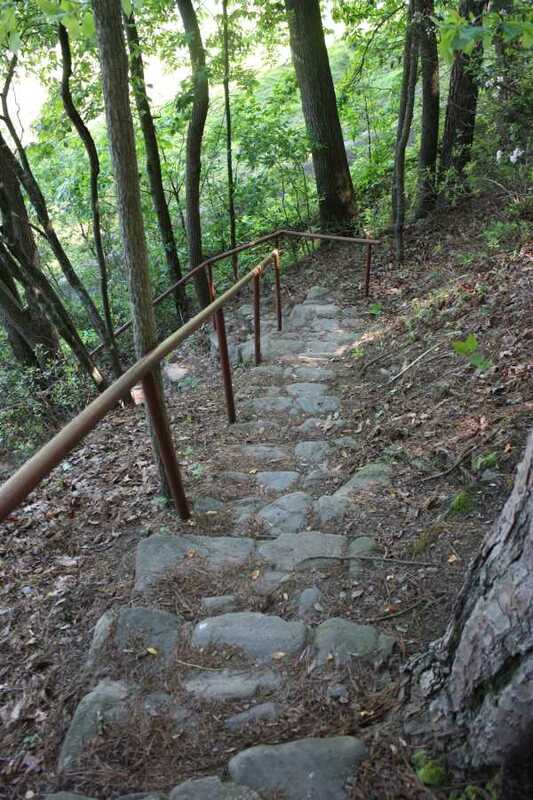 Along the way is another overlook, followed by stone steps leading down to the second road crossing. 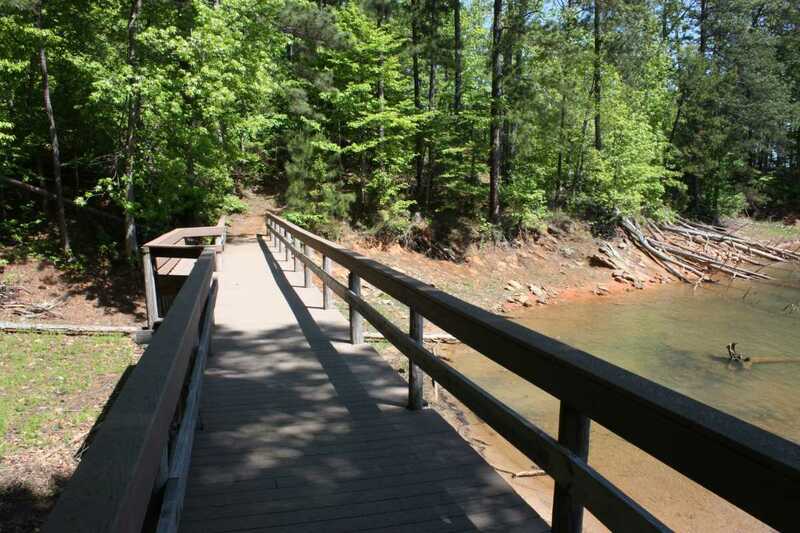 For the next .4 miles, the trail stays along the Chattahoochee, with a platform extending out across the river to another parking area. Back on the trail, the hike passes through a power line crossing, and then turns away from the river. 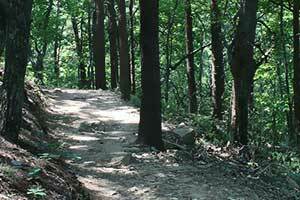 This is the most difficult section of the trail, climbing 250 feet in a half mile. 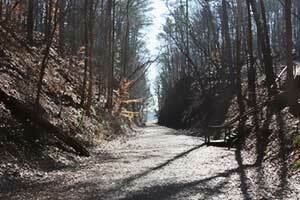 After crossing several footbridges, the trail again crosses Buford Dam Road at mile 1.4; however, visibility is better at this crossing, making it safer than the first road crossing. The rest of the loop stays pretty much level with no major elevation changes. 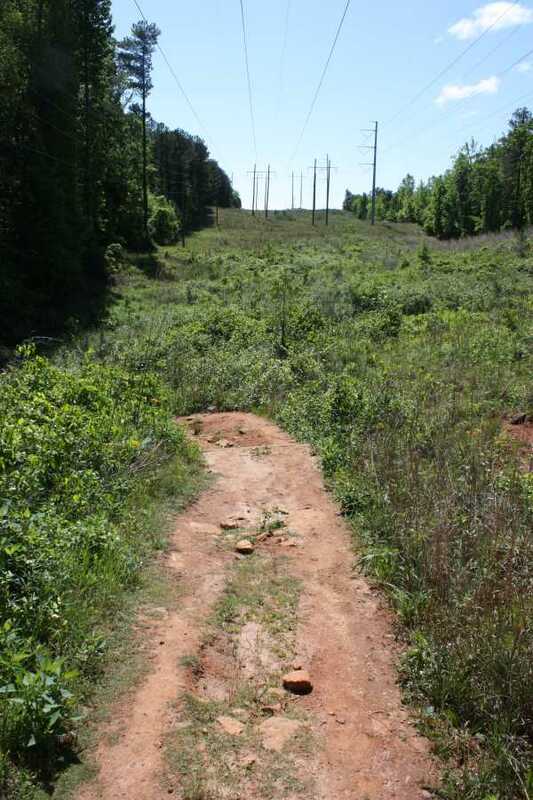 The trail again passes through the power line crossing before coming to the fourth road crossing. Shortly thereafter, the trail connects to a small playground. 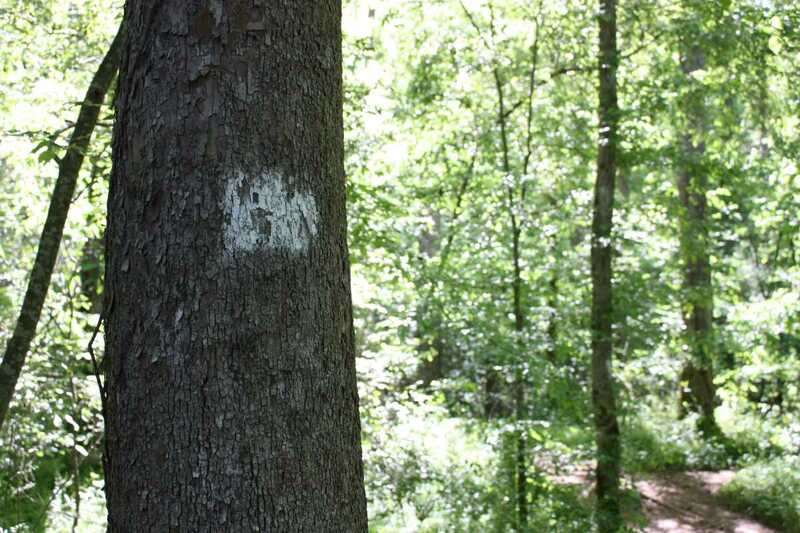 From this point on, the brown and white hiker signs are important, as the trail passes through parking lots and parks and can get slightly confusing, although marked the entire way. Turn right here, walking along a large parking lot. Walk in an “L” shape along the right and far sides, passing three pavilions. 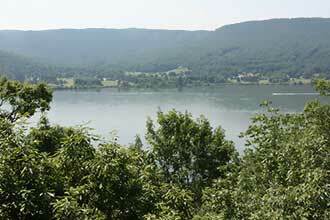 Always look for the white blazes on trees as well to verify you are headed in the right direction. 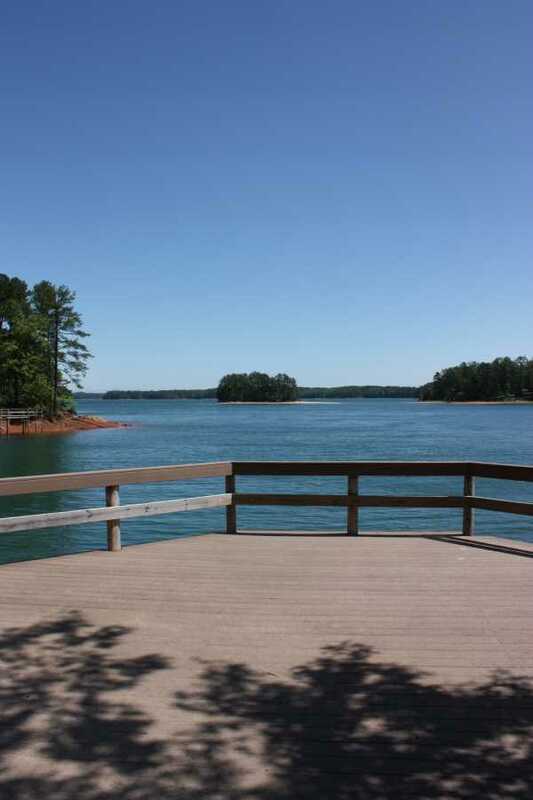 Immediately on the other side of the last pavilion is a short side trail to a platform with a great view of Lake Lanier. Back on the trail, cross the bridge to another smaller parking lot. 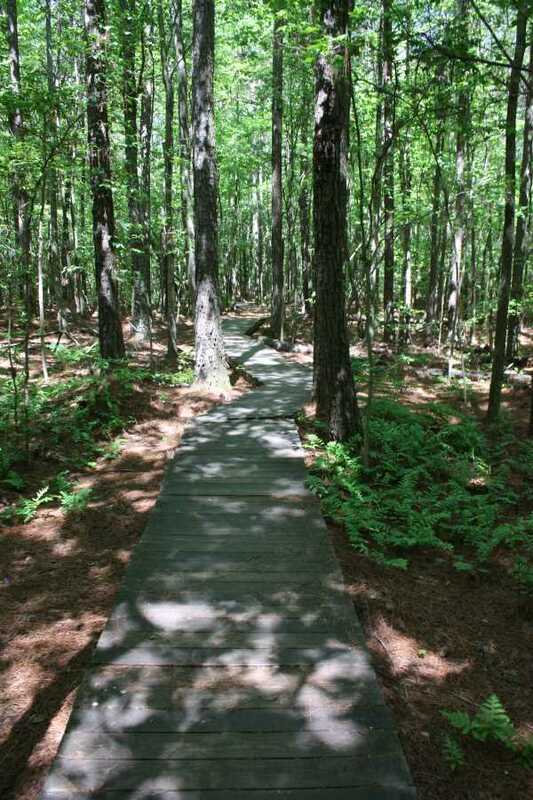 The trail crosses directly through this lot, but another overlook platform can be found at the far end of the parking lot. A quarter mile after this, the trail crosses through another park with playground and volleyball. 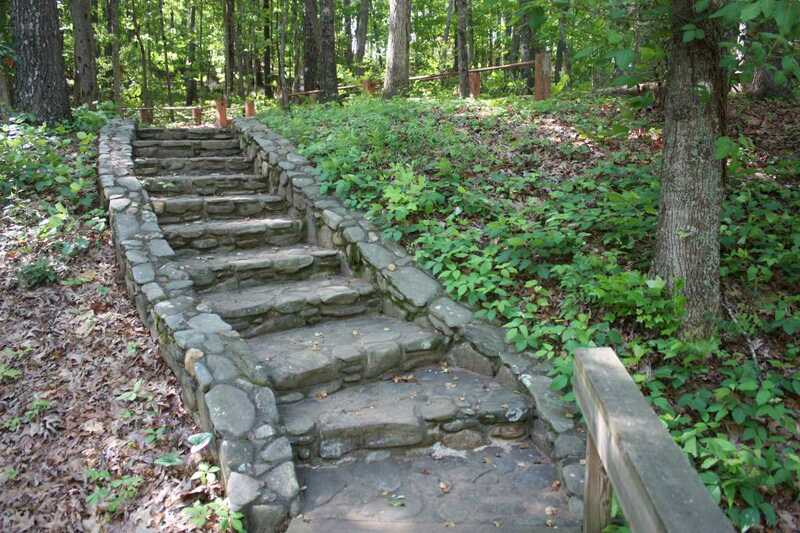 Again, follow the hiker signs and take the steps on the other side of the restrooms down the paved path. 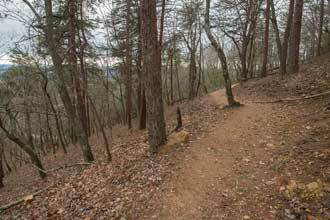 The trail will make a sharp left off the pavement back onto the dirt path. 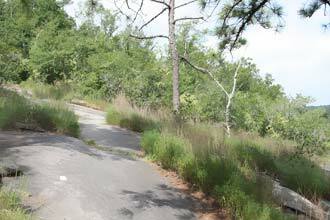 Climb up to another parking lot and walk along it to the trail that continues on the far side. Walk across a couple more footbridges then make the final road crossing at 3.25 miles. 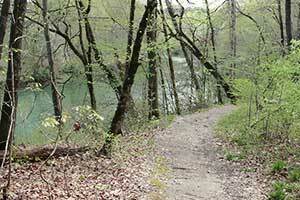 The trail then circles around a small pond before making its way back to the trailhead and parking lot. 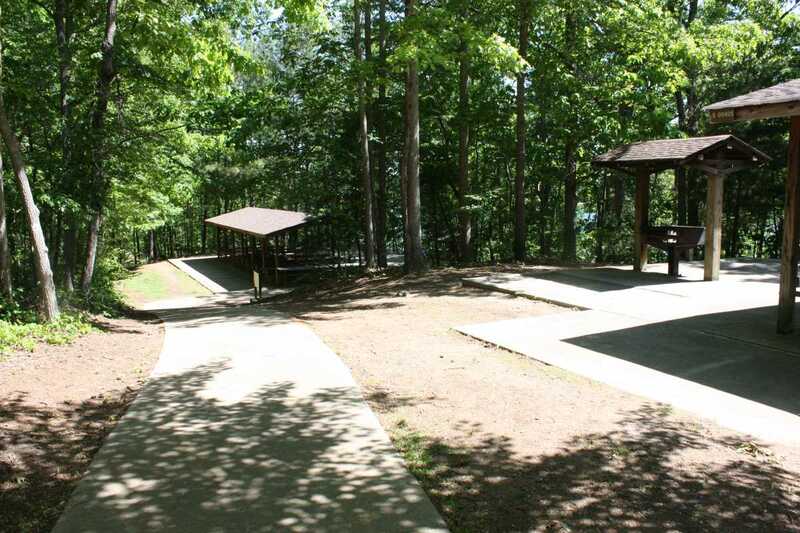 The Lower Overlook Park is just east of Buford Dam on Buford Dam Road. There are a total of 5 road crossings. While 3 of these are on lightly used roads, two cross Buford Dam road, where visibility is limited and traffic is much faster. 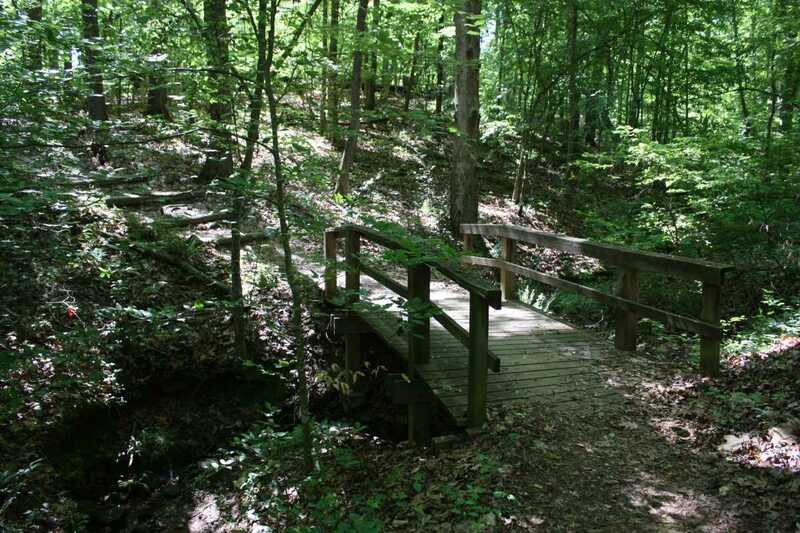 While this loop isn't exactly exploring the wild, it is a good distance hike with plenty of lake views and quiet woods.